There is little doubt that the California condor is with us today as a result of human management of the species. One critical component of this management has been captive rearing. 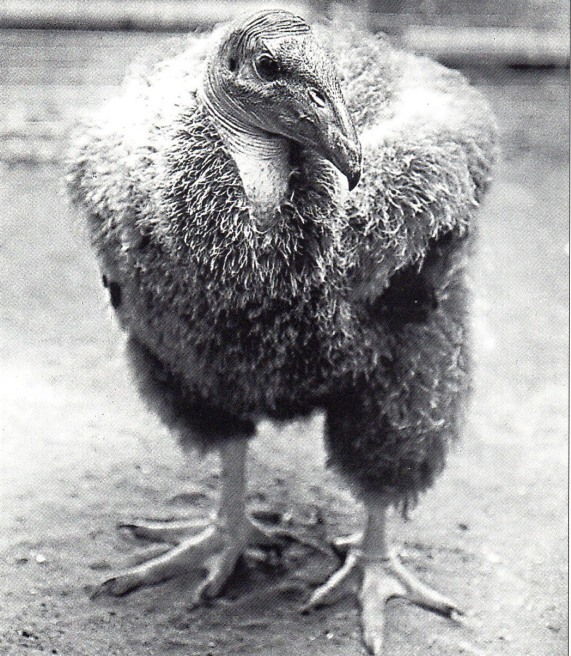 In the most intensive form of captive rearing, humans take the role of condor parents starting when an egg is laid. In this post I consider intensive captive rearing from a visual perspective. 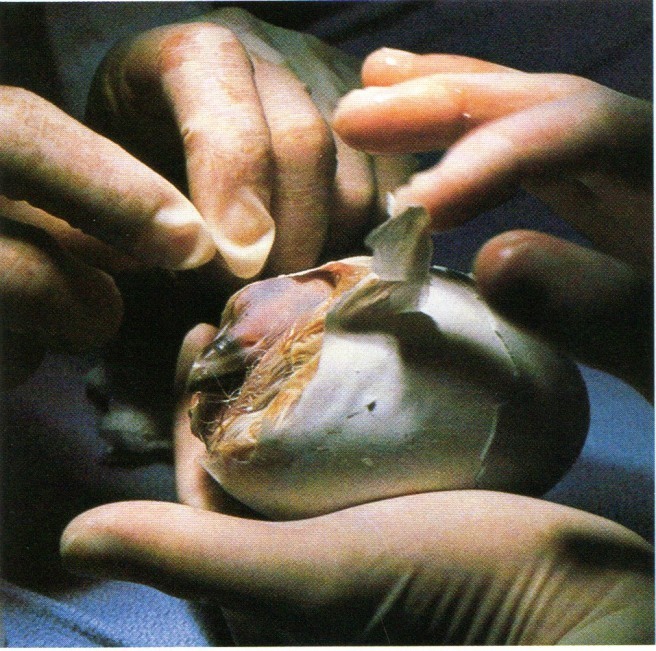 The photos (and an illustration) below “describe” the hands-on rearing process in a way that words cannot. 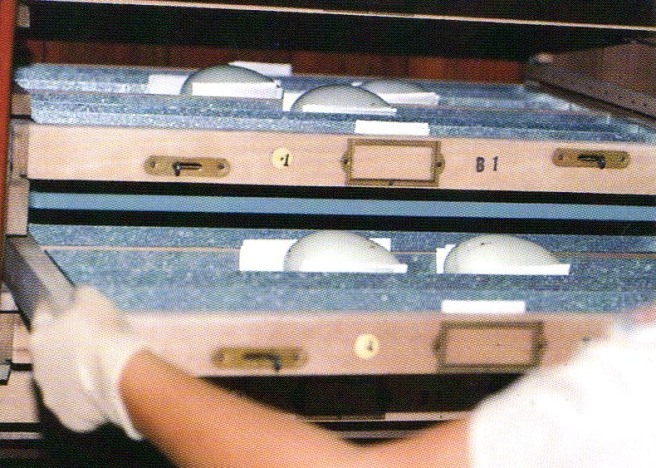 Condor eggs are kept in incubators where the temperature and humidity is controlled. The eggs are turned on a regular schedule. Photographer: Mike Wallace. Source: Kasielke, Susie. Raising California condors. Zoo View. Spring 1997. 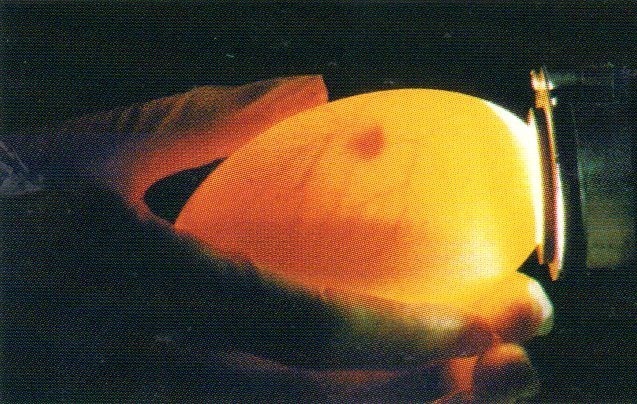 The development of the chick within the egg can be monitored visually (just as the development of a human fetus can be monitored with ultrasound). 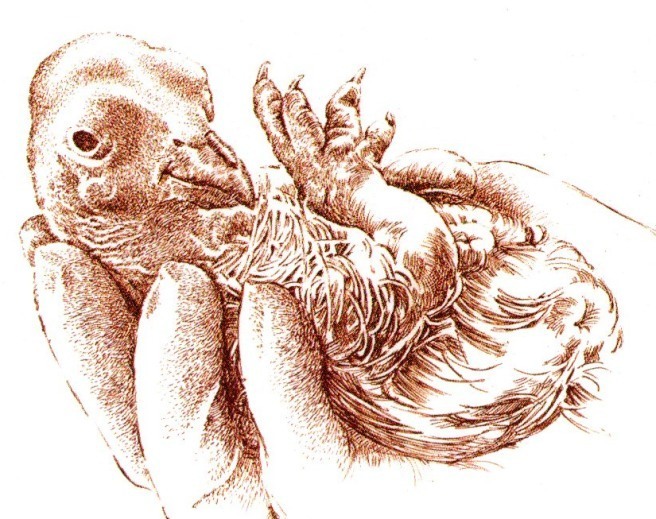 The hatching process may require assistance from veterinarians. Photographer: Ron Garrison. Source: Toops, Connie. 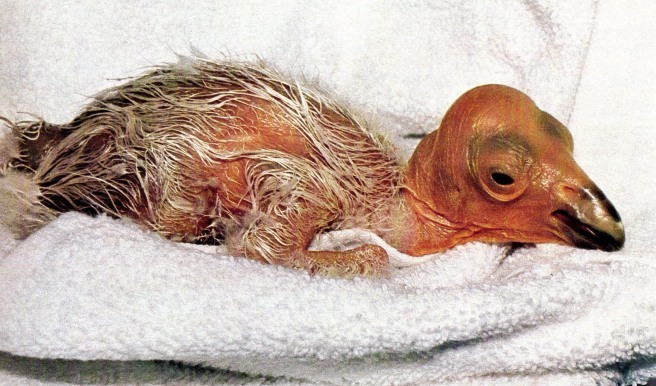 Coming home: the future brightens for the California condor. Birder’s World. December 1991. 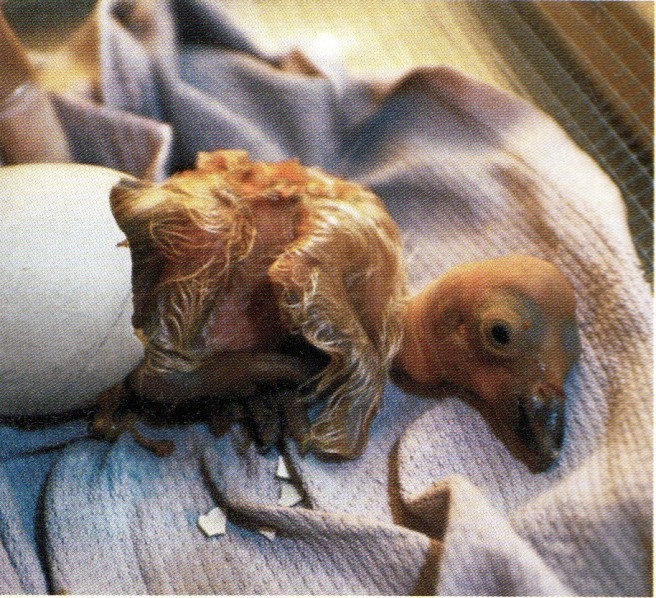 Hatching is an exhausting process for chicks. Photographer: Mike Wallace. Source: Wilkinson, Todd. Homecoming. National Parks. May-June 1996. 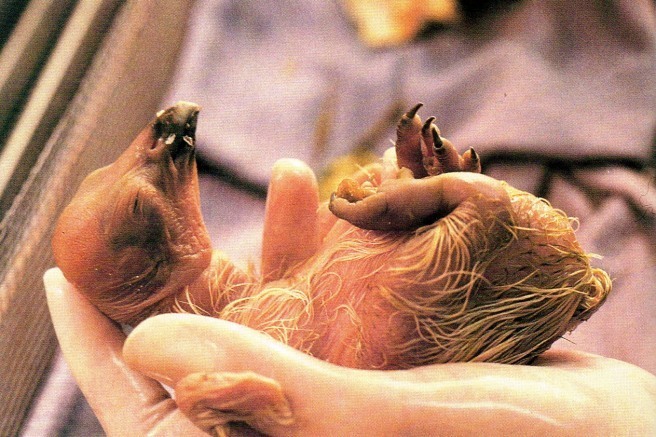 It is difficult to imagine that a newly-hatched chick that can be held in one hand will be a nearly-full-grown condor in about half of a year. Photographer: Mike Wallace. Source: Meacham, Cory J. Flight of the condor. ZooLife. Spring 1993. Artist: Uncredited. Source: Kasielke, Susie. 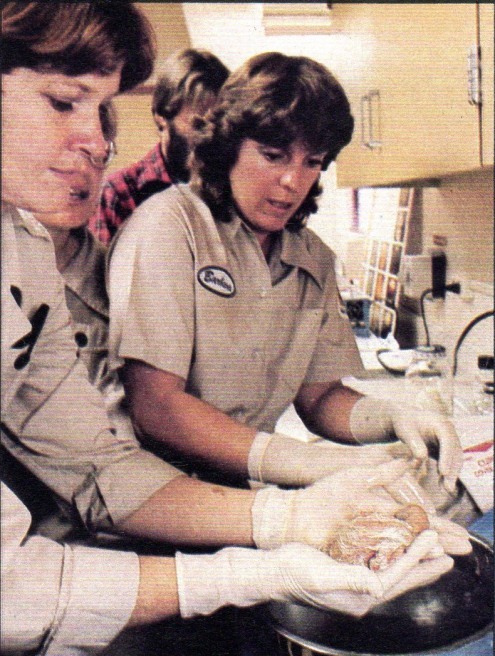 Raising California condors. Zoo View. Spring 1997. No set of “baby pictures” would be complete without a photo of baby’s first bath. Photographer: Ron Garrison. Source: Return of the raptors. Life. June 1983. The word that comes to mind when I consider the photo below is vulnerability. Photographer: F C Schmidt. Source: Return of the raptors. Life. June 1983. 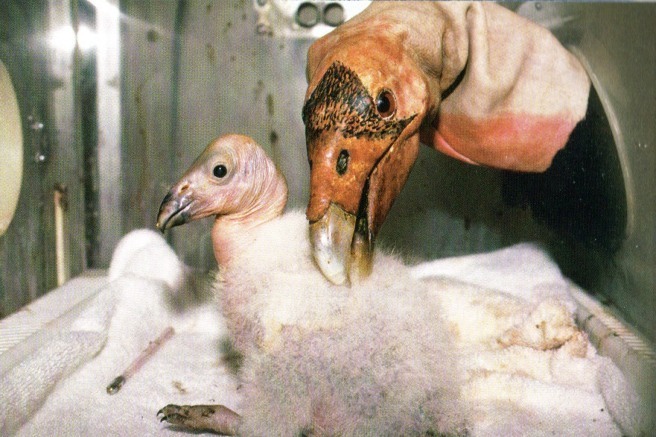 Soon after hatching, puppets take over chick care to simulate rearing by a condor parent. Photographer: Uncredited. Source: Rayl, A J S. Becoming a full-fledged condor. Smithsonian. September 2004. Photographer: Ron Garrison. Source: Tale wind. Hawk Mountain News. Fall 1999. The images above all appeared in magazines, including magazines for general audiences and for audiences likely to be concerned about an endangered species of bird. These images undoubtedly contributed to concern for the California condor and support for the efforts to prevent the species’ extinction. For more baby pictures, see the post Photogenic & newsworthy eggs & chicks. Next ›Live trees or dead trees?